Description: Cluster of large clear blocky baryte crystals. These crystals formed parallel over an earlier generation of baryte. 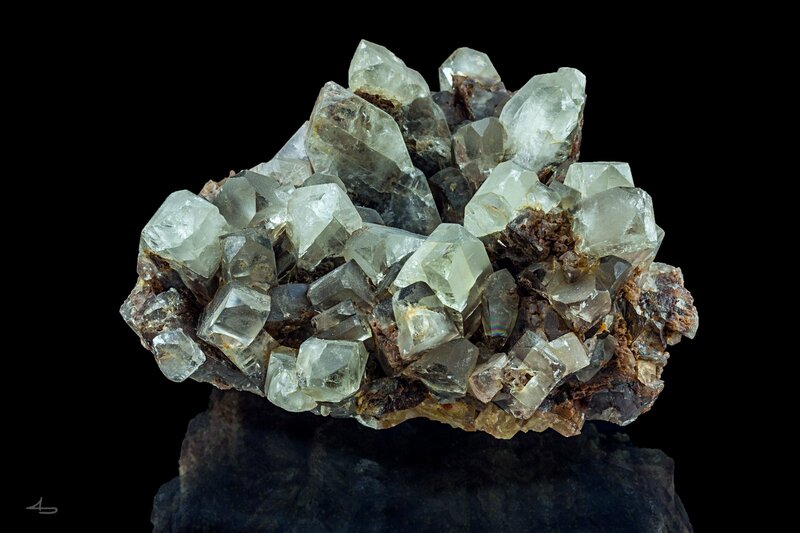 In the matrix, several clear blue cubic fluorite crystals are enclosed by baryte.